I want to be a software tester, a machine learning expert, or a project manager! The purpose of this book is to introduce a selection of the many new and exciting professions which have emerged after the digital revolution. At NNG we work with hundreds of programmers every day, and while being truly proud of our profession, we understand the challenges of communicating what we do. This book allows children (and their parents) to learn more about these roles in a fun and engaging way, while also discovering the value that can be found within them. This book is free and can be used without restriction. Designed in a standard landscape A4 format, the book can be printed out at home, or read on any digital device. In line with the development of information technology in the past decade, a set of new professions has emerged. Unknown or unrecognized previously, these professions will play a fundamental role in the future. We have a great passion for programming, and we are aware that keeping pace with technological innovations and the associated professions is hard work. Experience tells us that it can be rather hard to explain to your children what your job is. 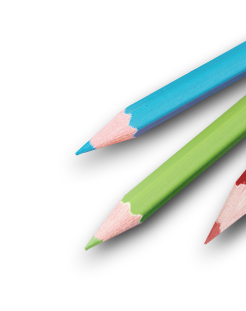 We understand the difficulty of highlighting the possibilities a job offers, while also introducing the scientific, artistic, and creative sides of it at the same time. We are committed to showing the younger generation the importance and value of information technology at the earliest possible age. The sooner they are acquainted with today’s new professions, the greater the opportunities they will have, and hopefully, the less stereotypes they will be affected by. This is the key idea behind this story book: Our intention is to introduce 12 professions from the world of information technology in rhymes, so that parents and children can explore the beauty and challenges of this trade together. The book is recommended for children aged 6-10 years, and their parents. Daniel Harrison is a copywriter and content specialist for NNG, where he writes about automotive cyber security, UX design and intelligent transport systems. He brings his love and understanding of technology into his writing, hoping to make IT accessible to all. Before braving the dangerous realms of PR and content marketing, Daniel worked as a software tester in the transport industry, fighting daily battles against ferocious bugs and digital monsters. This book is his first professional adventure with rhymes for children and he looks forward to many more. András (b) Baranyai is an illustrator and graphic designer. In addition to being the graphic artist of numerous children’s books, he is a regular magazine collaborator, and book-cover designer. In 2012, he published a picture book entitled ‘Mi leszek, ha nagy leszek” (What I want to be when I grow up), where he introduced a set of professions to young children. Information technology has dynamically gained ground in our everyday life since then, and the presence of machines, robots, and autonomous driving is not a promise of the future any more, but swiftly becoming a contemporary reality. This book is a long-awaited publication aiming to introduce a set of professions, which play a key role today, and will tomorrow, but are still rather unfamiliar to a wider audience. Currently leading the Marketing Communications team at NNG, Andrea comes from a family of engineers, hence her appreciation for the tech industry is deeply rooted. This also resulted in trying to answer her electrical engineer father’s question “OK, but what do you really do all day?” ever since choosing communications as a career. 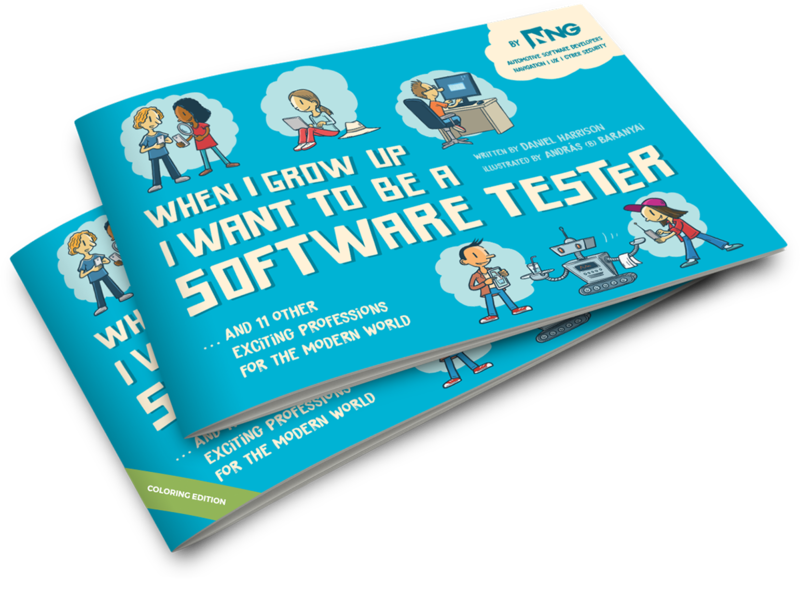 The idea of a children’s poem book started forming at a workshop NNG held for children, where she tried to explain to a group of 8-year-olds what a Test Automation Engineer does, with roughly the same results as with her father.